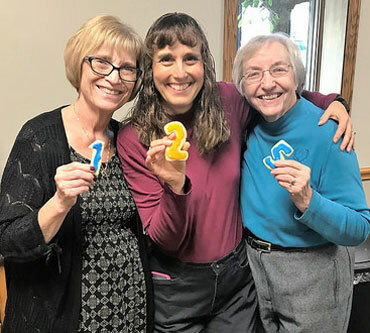 The United Brethren bookstore at the UB National Office was discontinued at the beginning of 2018. A large number of items remain in stock–books, Bibles, candles, card sets, offering envelopes, children’s materials, and more. All of it must go by the end of the year. These items are being made available to United Brethren churches at discounted prices. The list was originally published in early November. Since then, some of the items have been sold. This PDF lists the items still for sale. Here is a PDF list of all items for sale. To order, call 888-622-3019. Or, send your order to: orders@ub.org. Shipping costs will be determined based on your order. We will continue providing various UB-related materials—books, certificates, seals, and more. You can read about them on the UB website. A baptism during Homefront’s 15th anniversary service. On November 4, Homefront UB (Grandville, Mich.) celebrated its 15 anniversary. The church is a restart of the former Maple Hill UB church. Two youth and three adults were baptized as part of the service, and another student was baptized the next week. Video testimonies of God’s work in and through HomeFront were shared. They included a couple who were part of the launch team, another couple joined the family along the way, and recent new members. Avlon UB church and its new flag pole. 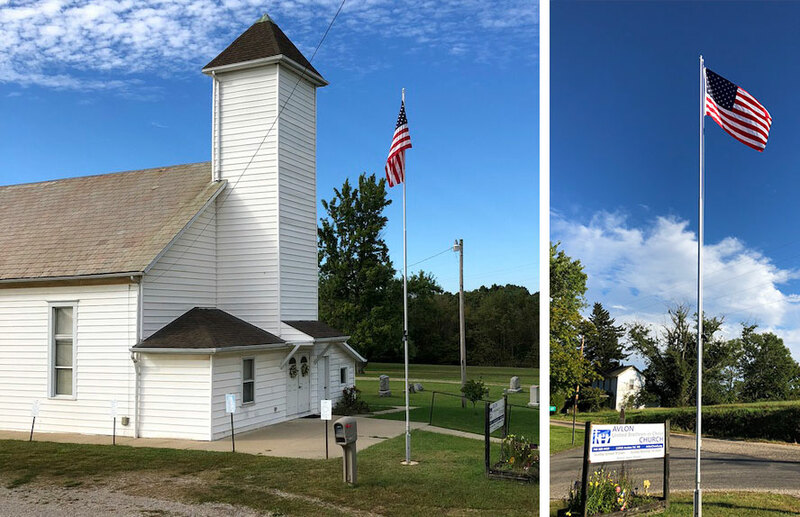 In September Avlon Church (Bremen, Ohio) installed a new flag pole in front of the church. It replaced a small flag mounted on a light pole beside the church. The flag pole was dedicated on Veteran’s Day. Today is Giving Tuesday. Please consider a gift to UB Global to support United Brethren missionary work around the world. It’s a great cause. Generous donors have agreed to match our giving, dollar for dollar, up to $1500. Double your dollars today! To contribute, go to this link. 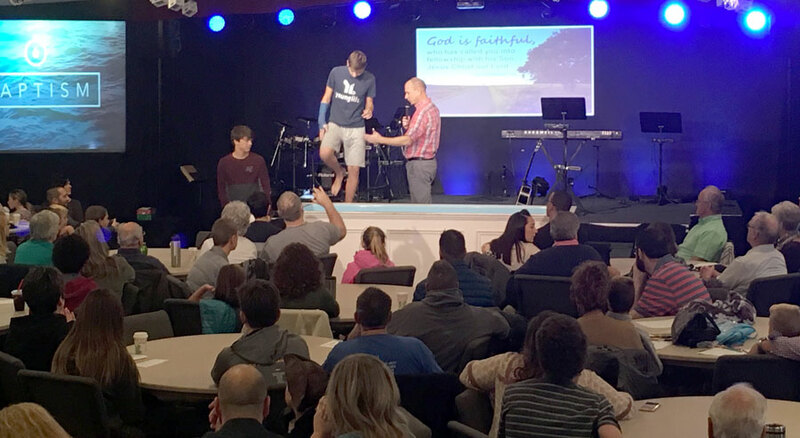 After realizing that we had no baptisms in 2017, the leadership at Blue Rock Church made a goal of six baptisms for 2018. However, the goal wasn’t high enough. God allowed us to baptize a total of 16 people (6 children/youth, 10 adults). Praise God for His answer to our prayers. The United Brethren constituency is invited to submit proposals for consideration by the US National Conference. The deadline for submitting proposals is March 1, 2019. A proposal needs to come from a group or official entity — not from an individual. Examples: a local church board, cluster group, a denominational leadership team or study committee, etc. The Bishop’s Office and the Executive Leadership Team are responsible for processing and approving proposals for presentation to the conference. Complete information for submitting proposals can be found on the UB website. 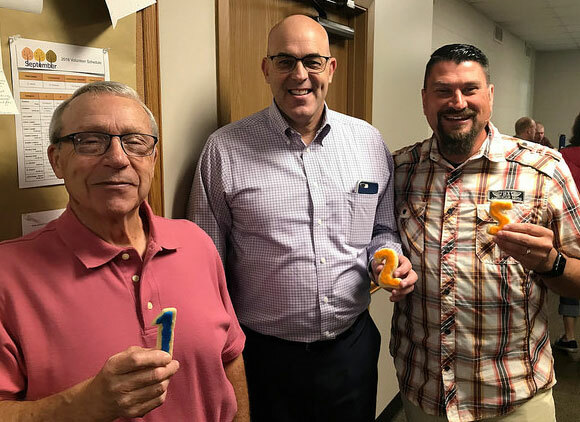 L-r: Bethel member Roger Krueger, Bishop Todd Fetters, and Pastor Tim Sherman. 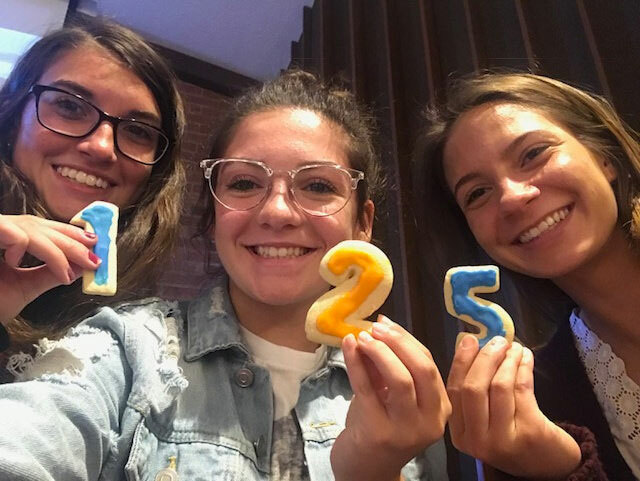 “We launched our official hashtag and social media platforms, and had special cookies made to encourage 125th anniversary selfies. We pondered the many blessings Bethel has experienced, heard all about our heritage, and looked to the future. Thanks to some amazing documentation and photographs showing progress and change, we celebrated the blessings our God has given Bethel Church. These churches are currently in need of a senior pastor. Corunna UB church (Corunna, Ind.). Mt. Morris UB church (Mt. Morris, Mich.).